﻿ My8to18 - school sports and activity information app. 8to18 Digital is focused on serving the athletic departments at the high school and middle school levels. 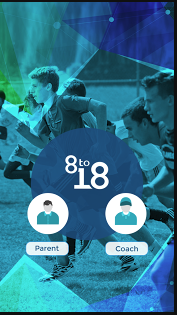 8to18 Digital also serves local and national club sports organizations and those who organize, manage, and support youth athletics and activities for participants primarily ranging in age from 8 to 18 years old. 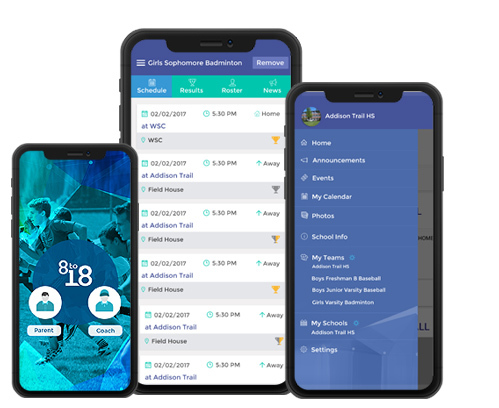 The mobile app connects parents of student-athletes with their kids’ sports activities so they can get real-time updates. My8to18 Android & iOS app offers users to follow their school sports and activities easily. 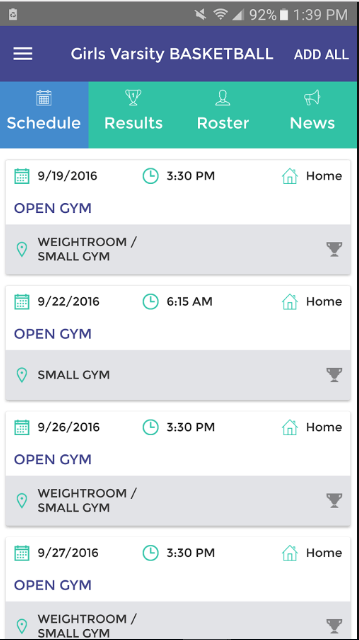 My8to18 App syncs with your school’s 8to18 website so that you have convenient mobile access to the latest high school or middle school sports and activity information. Personalize the app by adding events like practices, games, and meetings to your My8to18 calendar and use the “My Teams” tool to follow teams and groups that matter to you. You can view team photos, rosters, game results, and news. Get up to date announcements, view schedule changes, and stay informed using our easy tools. 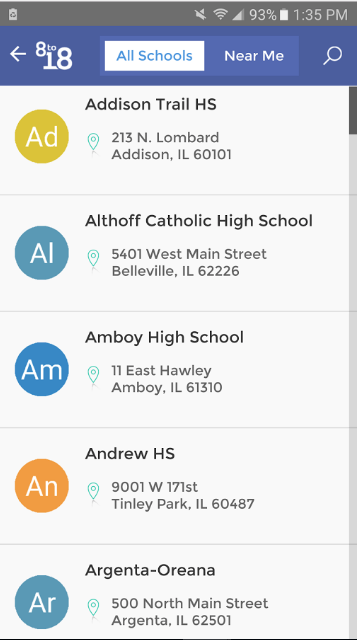 Make the My8to18 app your go-to place for your school’s team and department information. *Coaches Input Scores and Results directly into the app and it publishes to their school's webpage.